This book is for anyone who's ever had tired, sore or achy feet. And for those who swear they will never run a day in their life, here's an easy way to reap the benefits of barefoot wellness & earthing. Pub Date: March 26th, 2013 - Just Released! 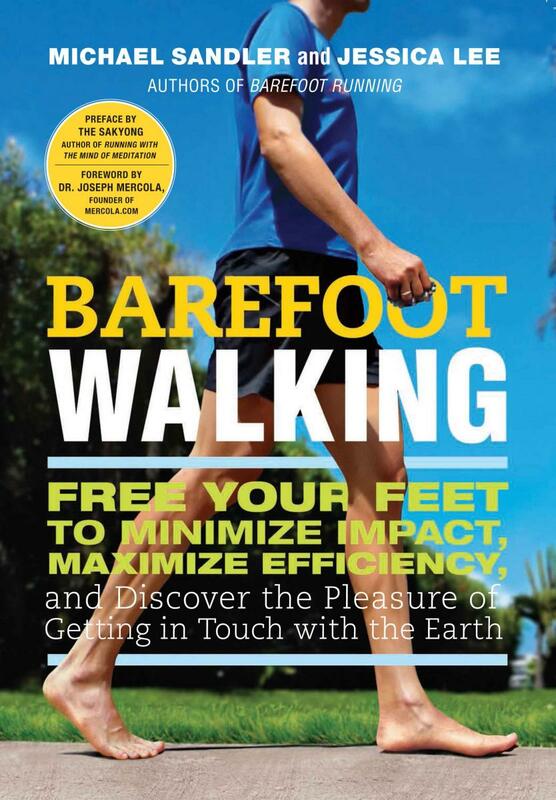 From the authors of Barefoot Running, the essential guide to the life-changing benefits of barefoot walking. As the thousands of people who have fallen in love with barefoot running already know, shedding your shoes is good for the body and the soul. Written for a mainstream audience, Barefoot Walking shows readers how to take command of one’s physical and spiritual wellbeing through this simple and easy practice, even if they are daunted by sore feet, achy joints, injury or illness, or feeling out of shape. This book contains special material for kids, pregnant women, and seniors and shows anyone how this gentle, natural activity can literally transform one’s life, restoring health, vitality, strength, balance, and improving focus, mood, memory, and more. Click below to pre-order from one of many retailers. Full of tips and tools for going bare, this is the essential handbook for anyone who wants to move their body, connect with the earth, and feel physically and psychologically more alive.